If you are just beginning your foray into Mexican cuisine, it is important to remember that Mexican food is always evolving. The first staples were corn and beans, and new ingredients and spices have slowly been introduced over the last 600 years to make "Mexican food" what it is today. Chile powder: A blend of chiles, cumin, and oregano is common. But also look for ancho chile powder with rich dried fruit flavors and chipotle chile powder made with smoked jalapenos. The native ingredients start with corn and beans, which were the nutritional staples for millennia. Seaside communities always had access to seafood as a protein source as well. Colonization brought garlic, onions, cheese, wheat, chicken, and other ingredients to Mexico. A wide variety of chiles are used in Mexican cuisine to provide hot spiciness. The traditional fat used in Mexican cooking is lard, and you will find it in the masa used for tamales as well as refried beans. Today, vegetable oil may be used for cooking. Tomatoes are native to Mexico and are not usually used to make a red sauce but are instead used fresh for salsas and toppings. Cheese is a recent addition to Mexican dishes and includes varieties such as panela, queso blanco, or queso fresco. The earliest cooking method for Mexican food was over an open fire, using a covered pot (as with a Dutch oven) or grilling. The barbacoa method of cooking meat is to steam it over boiling water or in a deep pit, often wrapped in cactus or banana leaves. Frying on a flat surface, or today's cast iron pans, is also common. For grinding corn and other ingredients, a stone metate y mano or the smaller molcajete (mortar and pestle) were used for making masa. If you are going to making tortillas, you may want to get a tortilla press to give you a good result every time. Dry roasting is used to enhance the flavor of many vegetables, such as tomatoes, chiles, tomatillos, onions, and garlic cloves before they are added to recipes or served on the side. You will find many ingredients for Mexican cuisine at your usual supermarket, but shopping at a Mexican grocery will open a whole new range of ingredients and spices. You will find many more varieties of produce, chiles, and any of the less common spices you may see in recipes. In addition, you can browse the prepared foods, both packaged and frozen, which may further inspire you. A Mexican menu for your dinner or fiesta can easily go beyond a protein served with rice and beans or having a taco night. There are many regions of Mexico with their own specialties. 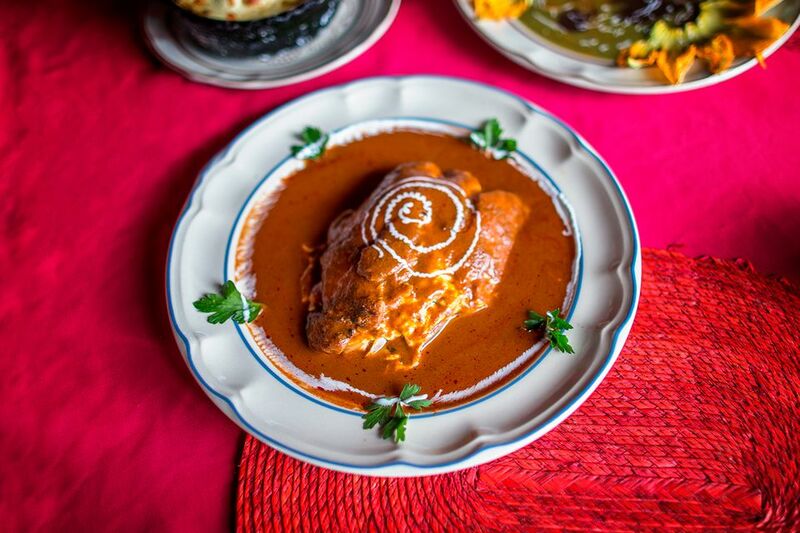 Take your time to explore the many ways you can enjoy a Mexican meal. Are You Ready to Try Mexico's Edible Insects?